Good morning! Welcome to The Morning Shift, your roundup of the auto news you crave, all in one place every weekday morning. Here are the stories you need to know. 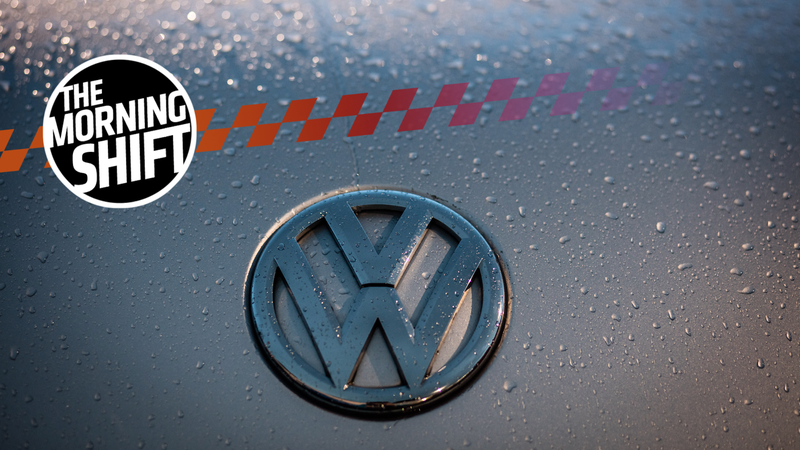 Dieselgate, which is coming up on the three-year anniversary of when it was found out, hasn’t slowed down yet—at Volkswagen or any of the other cheating automakers out there that were found out later on. It also sure hasn’t calmed the outpouring of cash from those automakers’ wallets. A three-judge panel at the U.S. Ninth Circuit Court of Appeals upheld a $10 billion settlement between Volkswagen and the owners of its cheating diesels Monday, Reuters reports. The ruling was for owners and former owners of Volkswagen’s 475,000 cheating 2.0-liter cars, which the company agreed to pay the estimated value of plus between $5,100 and $10,000 in compensation. In total, Volkswagen AG (VOWG_p.DE) has agreed to pay more than $25 billion in the United States for claims from owners, environmental regulators, states and dealers and offered to buy back about 500,000 polluting U.S. vehicles. The buybacks will continue through the end of 2019. The appeals court rejected a challenge to the 2.0-liter settlement that stipulated that any of the $10 billion not spent will revert to VW. It also rejected challenges to the court’s approval of the class, the fairness of the settlement itself and the adequacy of the court process in approving it. Will we all be 80 years old before Volkswagen and all of the other automakers finally get past Dieselgate? Probably. Will all of the children in the year 2078 make fun of us because we used to add “-gate” to the end of every scandal? The Tesla Model S and Model X both got a price hike of about 20 percent in China amid trade-war tensions, Reuters reports. It’s a pretty solid indication that these potential tariffs will inevitably fall back onto one party: buyers. China put 25-percent retaliatory tariffs on imports of certain U.S. products including vehicles—and later lowered them to 15 percent—after President Donald Trump put tariffs on Chinese goods. Bloomberg reports that automakers like Tesla had just this summer lowered prices in China because of the new 15-percent marker, but another set of retaliatory tariffs means those same cars could be subject to a 40-percent fee. Its basic Model S sedan in China now costs about 849,900 yuan ($128,779), versus 710,579 yuan in May, while a Model X sport-utility vehicle costs about 927,200 yuan, versus 775,579 yuan, according to Tesla’s website. These prices are more than 70 percent higher than in the United States where the basic Model S sedan sells for $74,500. “Raising the prices is going to hurt sales, but money-losing Tesla has to raise prices because they can’t afford to fully absorb the higher costs of the tariffs,” CFRA research analyst Efraim Levy said. That means the Model S is about $21,000 more expensive and the Model X about $23,000 more expensive than they were just a few days ago in China. Chinese buyers accounted for 17 percent of all Tesla sales last year, Reuters reports, and those who wanted a Tesla probably would have been better off buying one before now. BMW and Great Wall Motor Company came to a 50-50 venture deal to produce electric cars in China, Bloomberg reports, with BMW producing electric Minis at the automakers’ shared new plant in Jiangsu Province. The partnership came after China eased up on foreign-ownership restrictions in the country and gave Western automakers the potential to eventually buy out their local partners. On Monday, BMW agreed to lift output at a separate venture with Brilliance China Automotive Holdings that will lessen the sting of higher Chinese import tariffs on its U.S.-made SUVs. At least some countries are getting along. Fiat Chrysler had to extend the deadline to sign up for its new employee discount program because barely anybody signed up for it, Automotive News reports. FCA asked its current and former employees to submit a list of family members eligible for discounts, but sources familiar with the program told the website that fewer than a quarter of the eligible employees and retirees did it. In an initial May 14 email to FCA dealer principals and sales managers, Jeff Kommor, FCA’s vice president of U.S. sales, said the automaker’s new process — requiring employees to list all eligible family members who could use a discount code — “provides added security” to the discount program. A second discount program, known as the Friends Program, will remain less restrictive, but will still require the employee or retiree to generate a control number, which will be sent to that FCA employee or retiree’s email address, Kommor wrote in May. FCA’s Friends Program provides a discount of 1 percent below factory invoice. A Michigan FCA dealer told Automotive News that other company officials worried that ending misuse of the discount program would hurt sales, since that one percent discount on most FCA vehicles really makes all the difference. The auto show in America’s famous car town, Detroit, happens in the miserable month of January up north. Nobody wants to be in the north in January, and the Detroit Free Press reports that it could move to June in 2020 “as automakers and organizers strive to keep one of Michigan’s largest and most lucrative events relevant.” (And keep all of the people there from freezing.) It comes at a time when more and more automakers are skipping the Detroit show, including the German luxury brands. High-profile vehicle unveilings are important because they draw visitors to the show from around the country and intense media coverage from around the world. The Detroit show’s organizers have been working on a plan to take the show outdoors, expanding from Cobo Center into the streets and open areas in Detroit’s burgeoning downtown. The ability to offer test drives and demos of unprecedented technologies on the Cobo Center’s rooftop parking lot, and possibly in public streets, convinced all parties the show had to move from its traditional slot in January. A video from the organizers shows cars being driven around a track on Cobo’s roof, an off-road course for SUVs in front of the convention center and more. This all sounds rather lovely, especially compared to the weather in any area north of Texas in January. Reverse: Pay To Park, Why Don’t You? On the morning of July 10, 1958, the covers were taken off of the first parking meters in the UK. That’s according to the Financial Times, which said 647 of them in all were installed in the Mayfair area of London. See, paying to park isn’t a modern woe. It’s been torturing us all for years. Neutral: How Many Corporate Requests Do You Have In Your Inbox? You’ll get around to them eventually, unless the deadline to respond gets around to you first. Clarification: This story has been updated with another excerpt from Reuters, saying in 1st Gear that the appeals court rejected a challenge about parts of the $10 billion from Volkswagen that may not be spent and about the court processes and settlement.